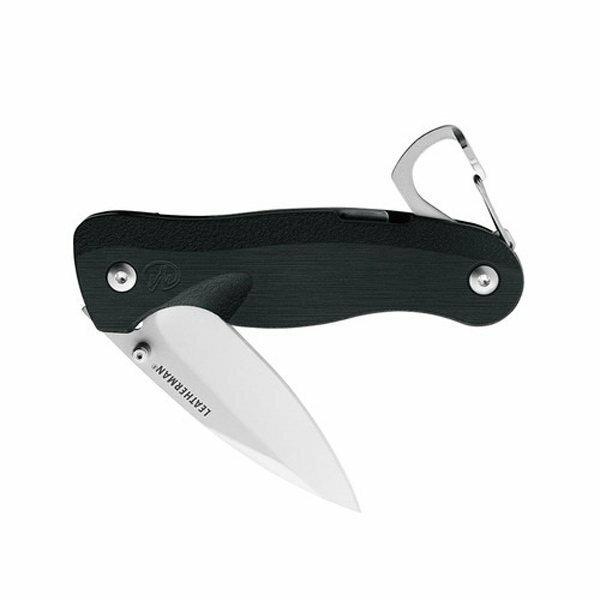 Simple, lightweight, quick-to-deploy; the Leatherman Crater C33 folding knife with carbiner is as straightforward as it gets, Straight 420 HC Stainless steel blade knife, Glass-filled nylon handle, Carabiner/Bottle Opener, Belt clip. Glass-filled Nylon: A thermoplastic material where strength is improved by adding chopped glass fibers. 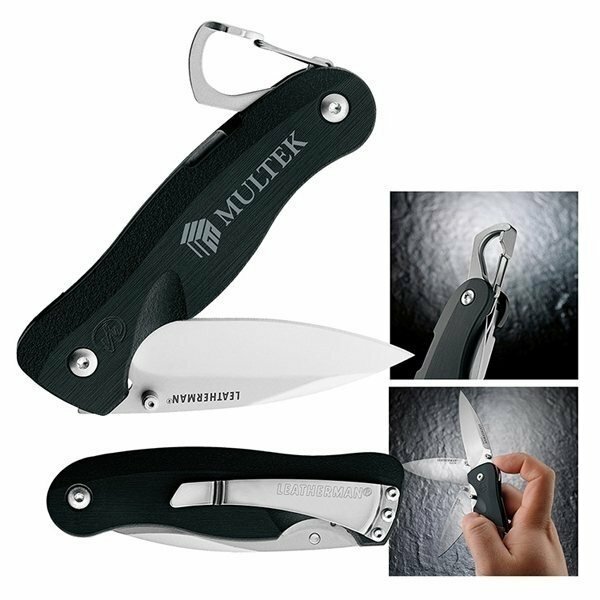 This allows for excellent durability without adding significant weight. Very good craftsmanship. there is noting i did not like. Great product. We just decided to go back to the reorder of products we've purchased in the past. The customer, upon receipt, was very impressed with the quality of the print and product. The color made it look more expensive than it really was. Our logo looked great on the product. Better than I expected. it was the perfect design.